Cheryl and Gary Joseph grew up in Lakewood, Colorado and were Junior High and High School sweethearts. They married at age 18, after graduating and had their first child when they were 20. As a young newlywed couple, life was difficult and they faced the same challenges that other young couples face. Gary started work with a produce brokerage company that eventually grew into a transportation logistics company. He remained loyal to the company and worked with the company until he retired. Cheryl stayed at home with their two boys and raised them to value their education. opportunities to those in need through volunteerism, grants and donations. The Joseph family, including Kirby and Jeff Joseph and their four children, along with Justin Joseph and Josh Benker, donate to worthwhile charities which value opportunity, education, diversity, the love of God’s creatures and the dignity of all people. 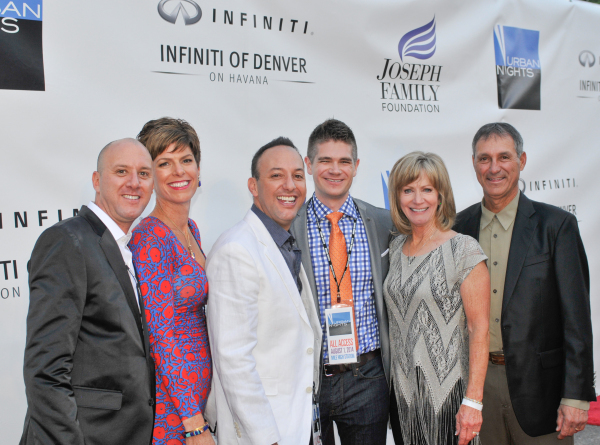 Joseph Family Foundation is a non-profit organization based in Denver, Colorado. The foundation exists to strengthen our communities by supporting causes that foster individual opportunity, further education, support diversity, provide power to vulnerable populations, demonstrate love of God’s creatures and promote the dignity of all people. Our motto is "Giving Wings to Angels."